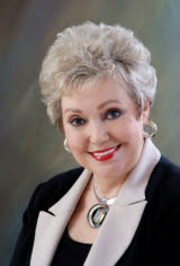 Ellen returned to her hometown of Hot Springs after many years in San Diego, CA, where she sold real estate for eight years. During that time, she earned her GRI, ABR and SRES designations, was a multi-million dollar producer and enjoyed helping her clients meet their real estate goals. She enjoys living on Lake Hamilton with her husband, Bill, and being involved with the Hot Springs Jazz Society and special event coordination.